Considerable snowfall descended on the Sierra Nevada over the weekend bringing a welcome sight to drought weary Californians. The Los Angeles Times reported that the first snow of the season proved to be the largest down fall in many years for this early in the season. Tom Dang, a meteorologist for the National Weather Service in Sacramento said that up to 3 inches blanketed the Lake Tahoe Basin. The precipitation forced the shutdown of the California 108 at Sonora Pass which remained closed through Monday. 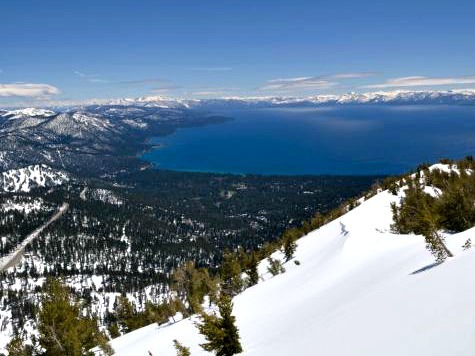 Besides adorning Lake Tahoe, Heavenly Mountain Ski Resort and Mammoth Mountain, a popular snowboarding destination, enjoyed a substantial layer of the white stuff replete with snow covered hills. Also, the National Weather Service reported that Mt. Whitney received two inches of snow at Mt. Tom Fire Lookout. The snow, however, will disappear by the weekend due to expected warm weather. The warming trend is forecast for Southern California as well, where temperatures are predicted to reach well into the nineties.